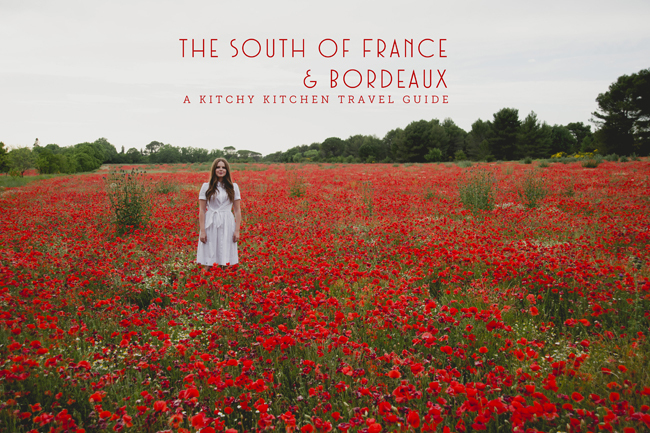 Want Claire’s entire guide to The South of France + Bordeaux? 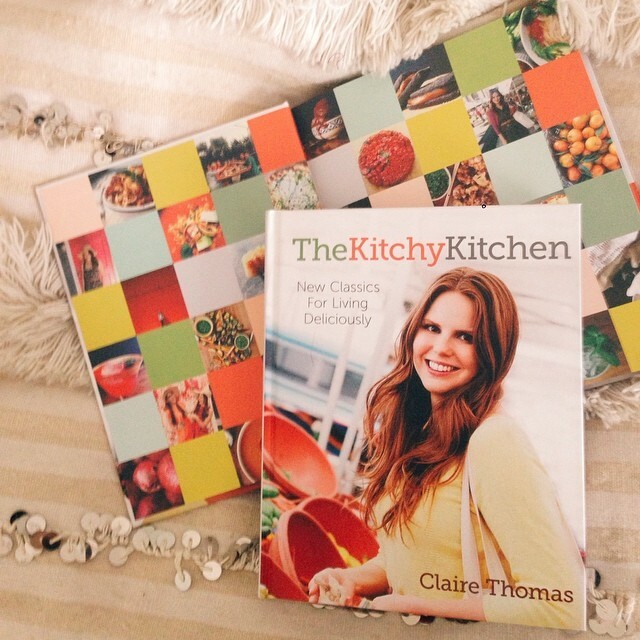 Check out her PDF! What brought me to the French countryside was actually an invitation from my dear friend Yasmine Khatib (@yasminemei). Yasmine is an amazing florist (seriously, check her out on Instagram), who also happens to have an aunt that lives in a very small village in the south of France, just outside of Provence. 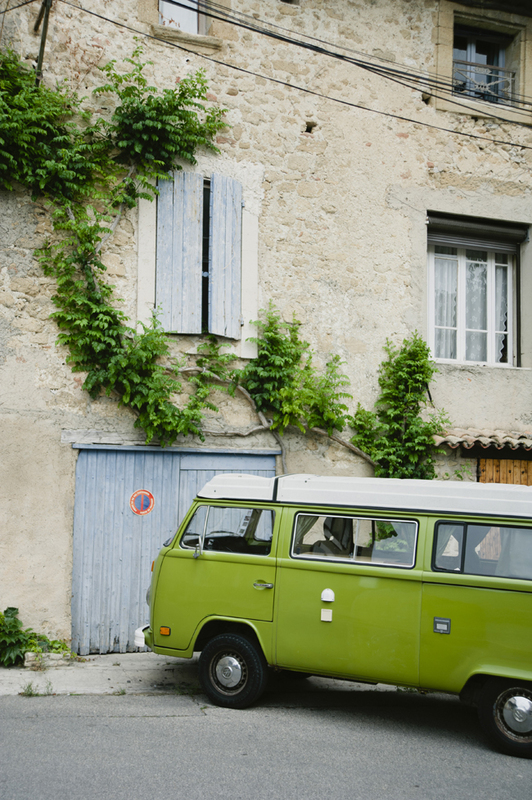 So, with my lovely friend Yasmine as my tour guide, I left the Parisian bubble for the first time, and we made our way across the French countryside from Provence to Bordeaux, by way of many charming villages along the way. Spending time in Provence and Bordeaux opened my eyes to just how distinct each of France’s many different regions are. I’d love to see them all someday, especially the Loire Valley, Rôhne River valley and the champagne region. So this trip is just the first of what I hope will be many more visits to come! If your next trip to the south of France takes you to Provence and Bordeaux, here are some things I highly recommend doing, seeing, buying, and of course, eating, while visiting these two very different regions of the French countryside. I think the beginning of summer is by far the best time to visit the south of France. For one, it’s just becoming rosé season. Two, it’s starting to get warm. And three, the poppies and wildflowers are in full-bloom! This means you can easily justify spending the majority of your time frolicking in fields of gorgeous flowers and sipping peak season rosé. We were constantly pulling over to literally, stop and smell the flowers. Besides the heart-stoppingly gorgeous red poppies, another wildflower we saw everywhere was Genestra. It’s this gorgeous yellow flower that’s super fragrant and just made the air smell wonderful and very sweet. 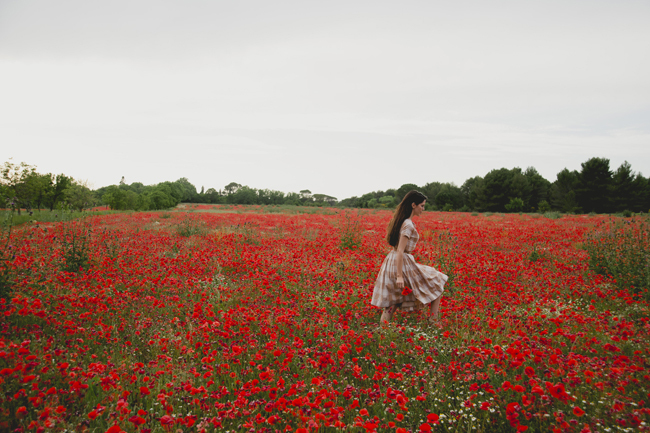 We also saw single pedal wild roses and giant fields of lavender, and if you visit the French countryside during early spring, you can go foraging for wild asparagus, which sounds lovely! If you’re looking for more composed fields of agricultural flowers, as opposed to seasonal wildflowers that grow all over Provence, you could also visit Grasse, the perfume capitol of the south of France located just outside of Cannes. This is where they grow all of the roses for Chanel N°5. 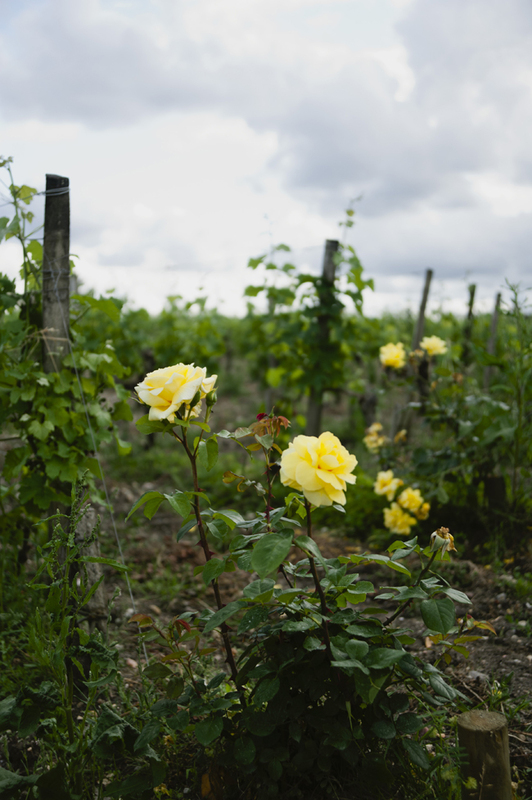 Like I said, the majority of your time in the French countryside can easily be spent flower-spotting between vineyards and villages and combining the two activities by having a picnic in said fields. In fact, I’m dubbing Provence “the land of picnics and rosé”! A good rule of thumb for while you’re here is: if it works in a basket, you’re doing it right! That’s exactly what you should be eating. I found the more composed dishes in Provence to be lacking, so I recommend keeping it simple and sticking to local specialties. There are so many great markets in each village that makes it super easy to pop in and fill up a basket with treats, to hold you over until your next stop. My diet consisted of local cheeses, baguettes, green oysters, dried sausage, fresh fruit, lots of pastries, and even more rosé! Fun food fact: Avocado is the same word as lawyer in French. Each area of Provence has their own specialties in terms of produce, goods and artifacts, but one thing we noticed is the signage for most of the best places was absolutely terrible. Just really cheesy signs with bad font and silly images, but if you go inside, they had great stuff! It was a really funny theme we kept noticing at the top-notch places we visited from town to town (case and point, Côte Glacier in Roussillon – see my review below). Another interesting thing I noticed about both Provence and Bordeaux is they have their own, very distinctive color palettes. 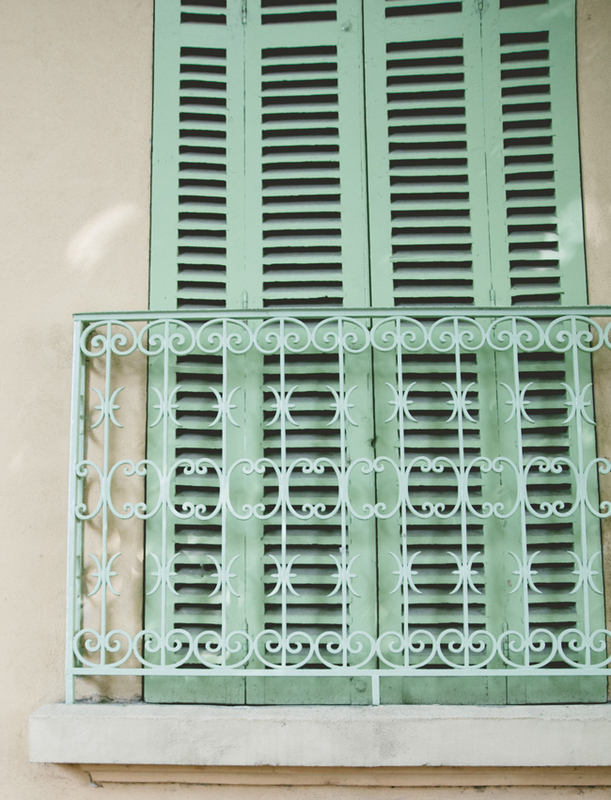 In Provence, everywhere you go you see these creamy, bleached-out pastels. Every village had a different and dynamic variation of the soft, summer-y, easter-egg style color palette. I saw buttery yellows and pale marigold exteriors in Provence. Golden, washed-stone walls in Lauris. And in Roussillon, all of the buildings are washed in the red clay that they’re built on, so there’s a rich, brick-red color all over the city. If Provence is faded gold, lavender, soap, seaside air and salt water with a glass of rosé, then Bordeaux is the woods, giant ancient homes, and brassieres with a glass of Merlot or Cab Franc—a totally different world. 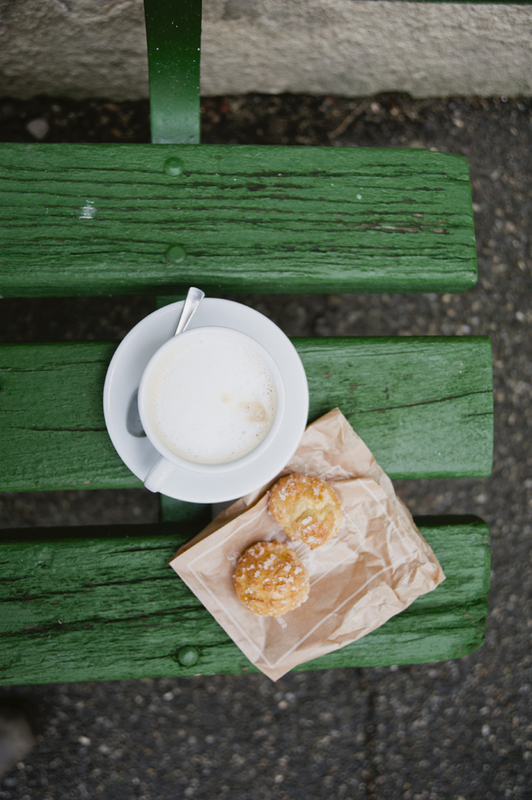 One of the easiest ways to see the difference between these two areas of the French countryside, is in the pastries. 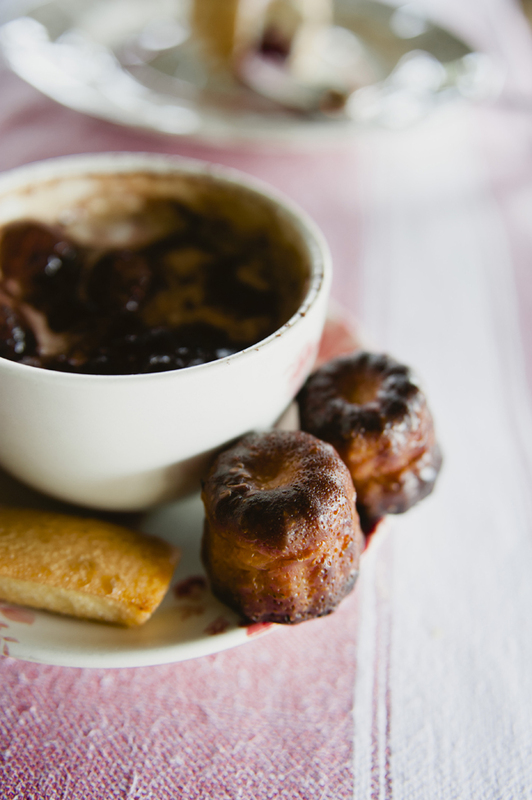 In Provence the must-try pastry is Calissons (see my description and best place to try them below) and in Bordeaux it’s Canele! Canele is my absolute favorite pastry, so I totally gorged myself on them while in Bordeaux. These little cakes are baked inside a copper mold with beeswax and it’s very eggy, so the outside gets really dark and caramelized and crunchy, while the inside stays custardy and gooey and sweet and wonderful. They’re just so rich, dense and textured, and they really mirror the vibe of the area. I liken Aix en Provence to the Sienna of the south of France, because it’s an ancient city founded by the Romans that is now an elegant college town with high-end shops, boutiques, and even a giant Apple store in the middle of town, but there are also plenty of gorgeous courtyards and moss covered fountains and squares lined with cafes to enjoy. 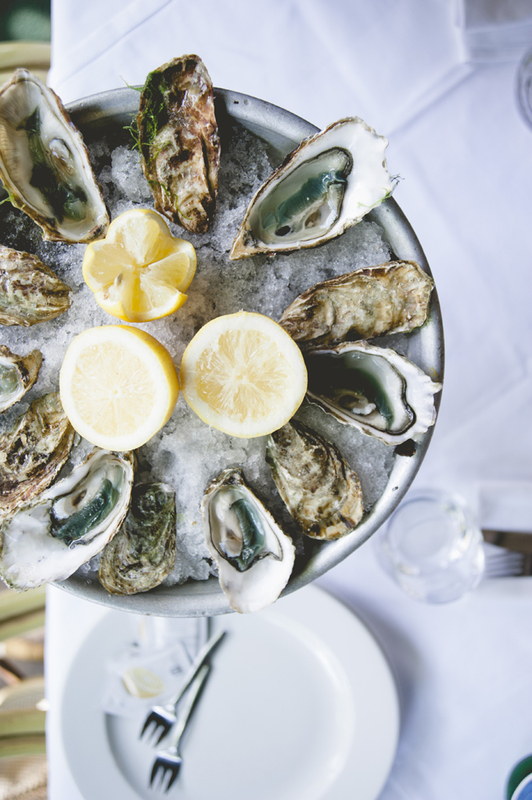 For my first meal in the south of France, we set our sights on one of Aix en Provence’s most legendary restaurants, Les Deux Garcons, for some rosé, french fries, and fried oysters. This is one of many tourist-y spots along the boulevard, so it’s kind of a pick-your-poison situation, but we found the restaurant’s history to be quite interesting, the old building very charming, and the people-watching excellent. Across the board, coffee is not great in France. But every now and then you can find a good cup, and at Brûlerie Richelme, not only do they roast their own coffee, they’re located in the main courtyard of Aix en Provence, over-looking the town center, so it’s the perfect place to sit and listen to music, and take in the scenery. It’s really beautiful. 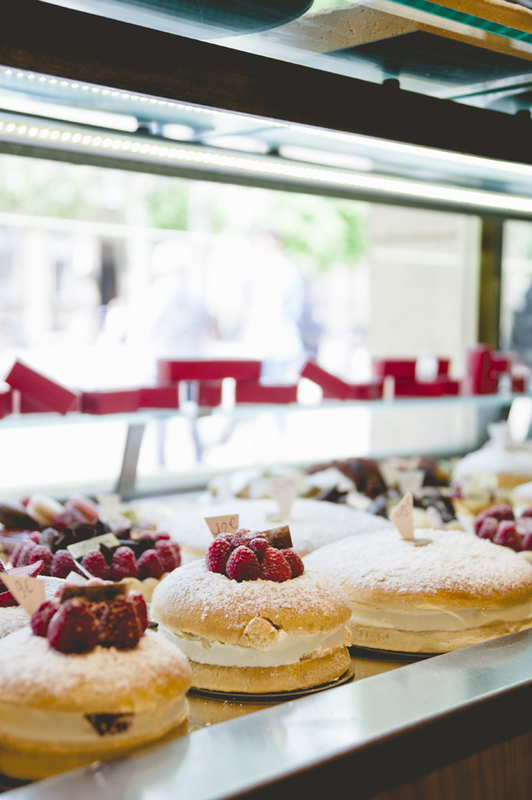 This is Aix en Provence’s oldest bakery and definitely worth visiting! This wonderful patisserie and candy shop is most famous for their Calissons, which is a really unique local specialty made of almond meal, mixed with local melons, and topped with royal icing. This delicately sweet treat’s distinctive taste is the perfect embodiment of what this region is known for: Cavaillon melons. If you visit the south of France, eating Cavaillon melon should be required! They’re utterly delicious and look like something out of Yoshi Story! 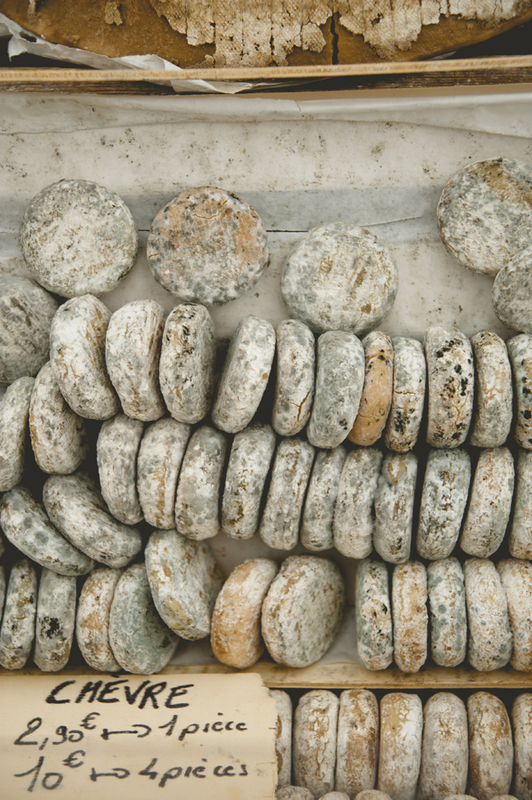 They’re about 4-6 inches in diameter with blue-green striped rind, deep orange flesh, and are extremely fragrant—like perfume! These melons are exactly what I think the God’s would have referred to as “Ambrosia”. 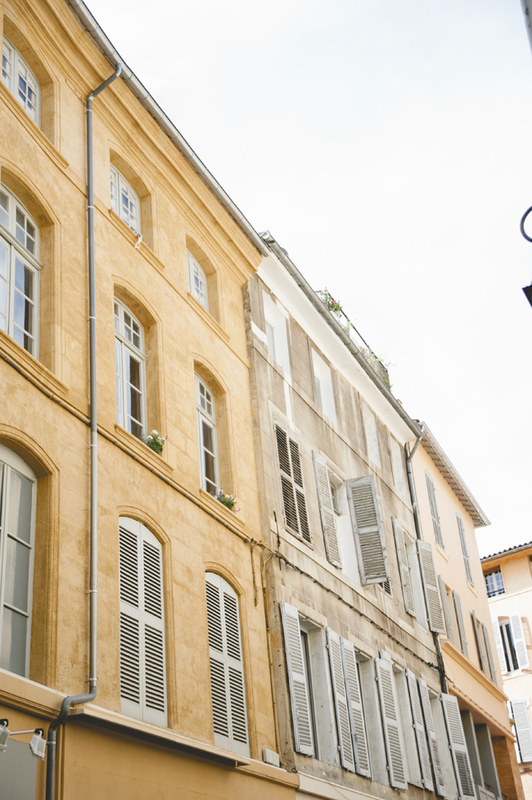 Outside of Aix en Provence, you’ll find beautiful medieval towns just about every 5 miles! Seriously, just drive for 10 minutes and you’re bound to find another hillside village that looks like something out of a storybook and some of them literally are. This area is known for it’s 16th and 17th century fountains and it’s castle, The Chateau, where you can walk the garden terraces and have afternoon tea. It was one of the most well preserved villages we visited. It felt sort of like that opening scene from Beauty and the Beast where the local baker, butcher, and townspeople all waking up to say, “Bonjour!” There was even a little cat that followed us around all day, purring and weaving through our legs. I convinced Yasmine that he was a former prince, cursed to live as a handsome cat and wander the streets of this little French village for the rest of his days. This place is wonderful. It’s owned by a local family and has a real neighborhood feel to it, plus, good coffee and lovely little treats. I recommend stopping in for simple delights, like the quiche, to enjoy with coffee or wine. This little middle-eastern shop is such a gem! We loved their homemade halva and turkish delights! It’s a great place to stop in for a snack and to shop their fabulous selection of spices. 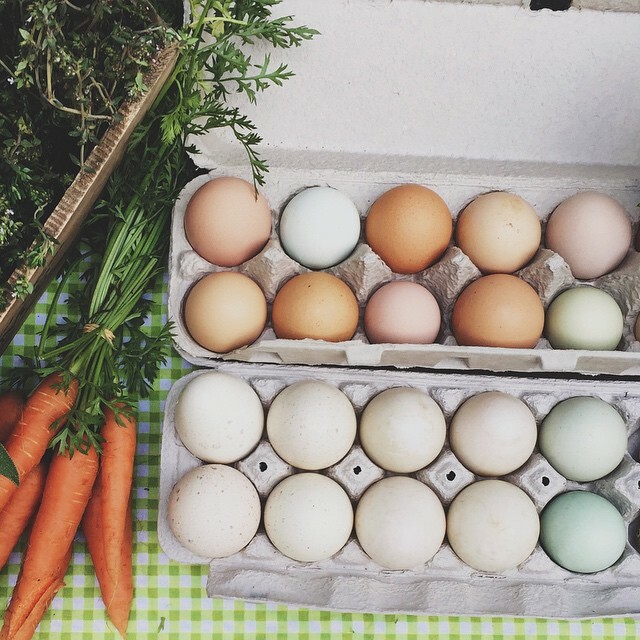 This is a fantastic little organic market. 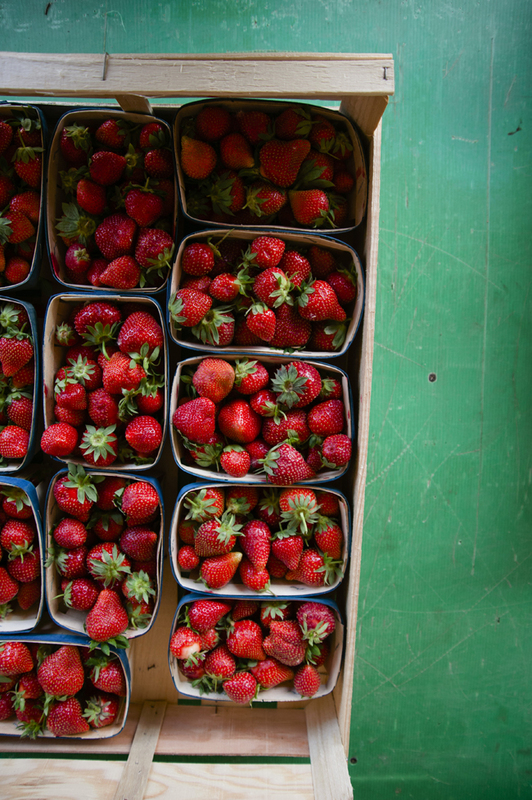 The perfect place to fill up a picnic basket with local goodies to take on the road with you. This is a gorgeous little town! If I had to pick a town to stay in, at like an AirBnB, this is where I’d stay! 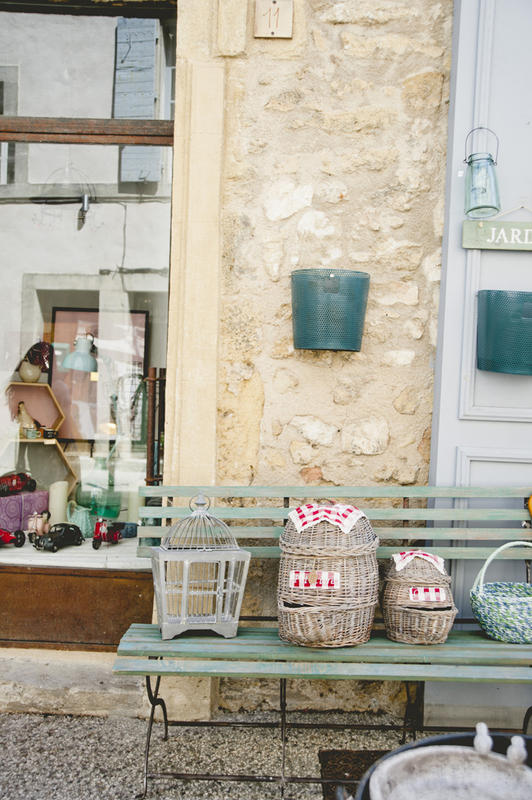 It really has all of the things that you want out of a French village, plus, it’s in a well-positioned in area with lots of beautiful well-curated local boutiques. This area is famous for it’s soap. There are lots of different vendors here that do the Mairiselle style soap. The soap comes in many different colors and scents derived from local specialties like red poppies, which happens to be black! 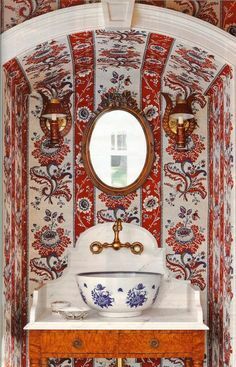 Lavender is also pretty prolific in this area, so if I had to pick just two bars of soap to snag while you’re here, I’d go with poppy seed and Lavender because they’re both so emblematic of the area. Besides soap, the area is also known for their Castell pastries, which are kind of like a Mielle fiuelle pavlova, made with hazelnut pastry cream, very crisp meringue and powdered sugar on top. They also make a very distinctive bread here called tortellain, which looks like a twisted baguette. It’s really different and has a wonderful flavor to it. 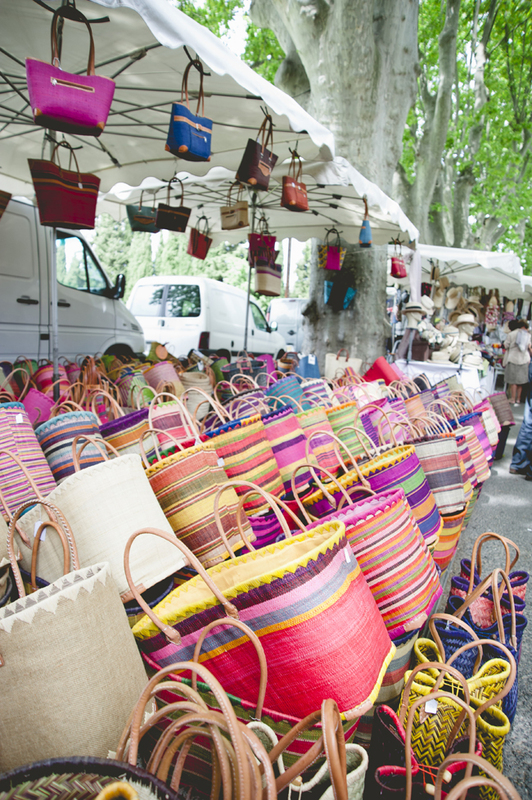 Lourmarin also had a Friday morning market that has a little bit of everything, from hand-woven baskets to excellent cheese, saucisson and sausage. The wild board and fennel was my favorite. It’s also dog central. I’ve never seen so many charming little dogs in one place! Yasmine and I were joking that this town was probably run by dogs, and the humans are just visiting—we kept cracking up picturing a little doggy-mayor. If you go to one restaurant while you’re in Lourmarin, make it this place! It’s a favorite in the area (though there is one in Paris, as well) and has an excellent chef who’s known for his delicious regional dishes. If you head north from Lourmarin, you’ll hit Bonnieux. This town has beautiful views of the the rest of the villages. It’s a charming town with a brassiere, but mostly we stopped to snap some pictures of the dramatic landscape. This village is kind of a ruin. Everything is falling apart but in the most beautiful way. You’ll find these tiny mid-evil sidewalks that just corkscrew right up the side of a mountain. One of these cobbled lanes took us to the ruins of Marquis de Sade’s Lacoste château. It was quite windy but the sun was shining the whole time we were there. This is also where SCAD (Savannah College of Art & Design) has a French college, so a lot of the college kids live in Lacoste. It’s a fun town to spend a couple of hours in, just walking the narrow passageways. We loved seeing all of the expressive vines growing out of the walls—you can tell these walkways have been here for 1000’s of years. From Lacoste, we ventured to this lovely, red-rock city. Think: Arizona transplanted into the middle of France! 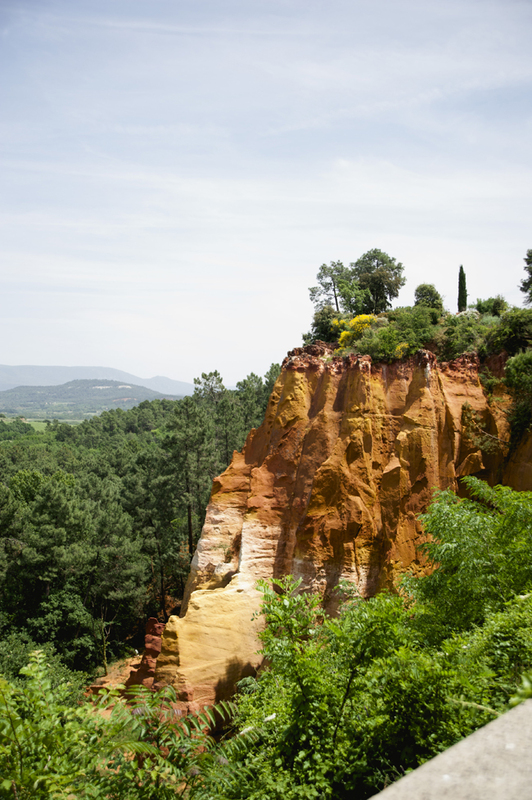 There’s these red clay exposed cliffs and hills, and the entire village has taken on the colors of the soil beneath it. We weren’t here for long, but the one thing we did make time for, and I’m so glad we did, was ice cream. This place has terrible signage, like Microsoft Office 98 clip-art bad, but really great ice cream! The two flavors we got were chestnut, which is really distinctive of France, and violet. 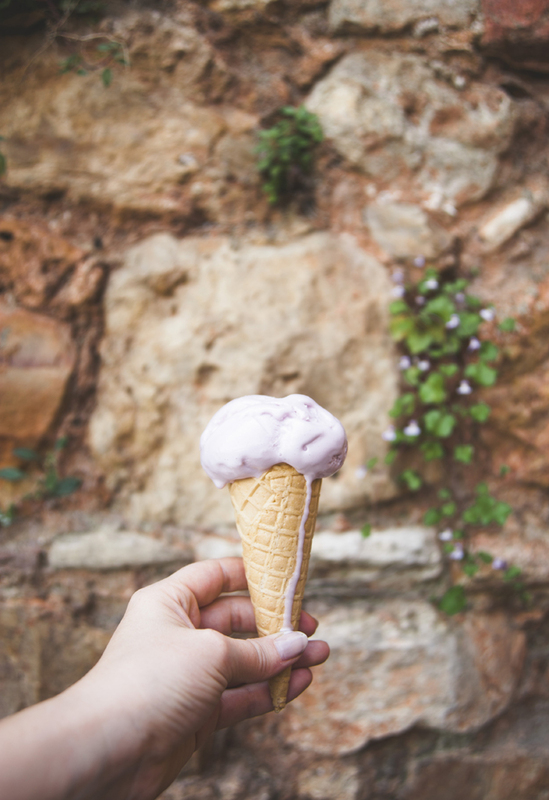 They were both unbelievably delicious but if you love the flavor of rose or lavender ice cream, you’ll go absolutely crazy for violet ice cream. It was so good! Not far off from Roussillon, is Gordes. This area is filled with strange little Peste huts that look like beehives. These structures were built in the 14th century, when people thought that the further they lived up mountain, the safer they would be from the plague. And so they built these distinctive huts to protect themselves from the plague, and now they’re left behind from centuries ago and serve as a reminder of this town’s long and interesting history. 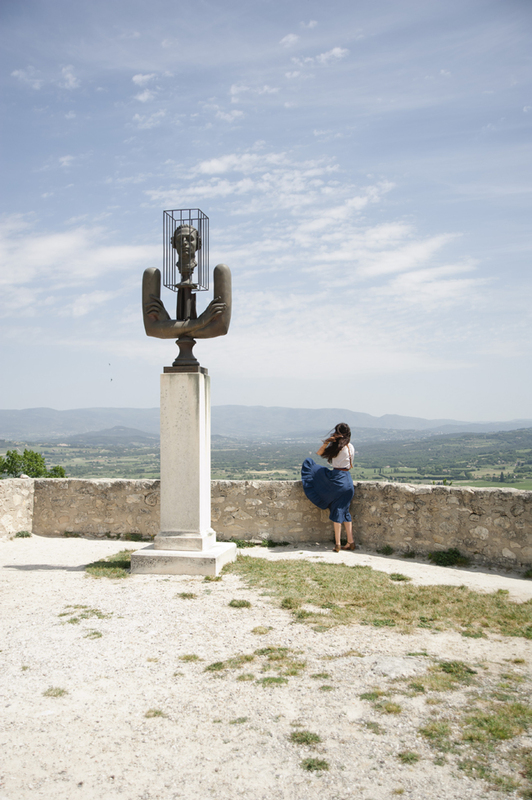 Just outside of Gordes, you’ll find the Moulin de Gordes, which is a beautiful and picturesque windmill with a museum attached to it. And not far from there is the Abbaye Notre-Dame de Senanque, where fields of lavender grow. During the peak of Lavender season, around July, this is where you want to go! They sell lovely little lavender items but if for nothing else, go to smell the air. The scent is ridiculous and absolutely intoxicating! This is one of the few mid-19th century family-run wine estates that has stayed true to its past. Located in the heart of the Bandol appellation, known for its provencal wine, Domaine Tempier provides a lovely tasting room experience, as opposed to a vineyard. There’s also a restaurant on the premises where you can enjoy a beautiful lunch between tastings. The tasting that I went to was called, Domaine de Terrebrune, and the aged rosé we tasted was so excellent—a must try. Normally rose´isn’t aged because it tastes so great fresh, but Terrebrune’s rosé is so good they do age it, and it takes on these flavors of honey and truffle and it’s really fantastic. We also tasted a really great red blend, but the aged rosé from 2007 was so special, I actually bought a bottle. The prices were really affordable, with new roses running about $20 USD and the aged bottles going for about $35 each. If you’re limited on time, I think a 4-day weekend in this region of the south of France is the perfect amount of time to get a taste of the area. Spend each day bouncing around the medieval towns to see their magical color palettes and getting a feel for what they’re each about. Be sure to pop into markets along the way to collect picnic items so that you can stop off and plop down a blanket and enjoy your treats among the flowers. You can pick the wildflowers too! We had a lot of fun putting together sweet little bouquets to bring back with us each night. Trust me, waking up to a vase filled with yesterday’s pickings is so delightful. It’s the little things, people! WHAT TO PACK FOR PROVENCE: It gets weirdly hot here, so pack light! 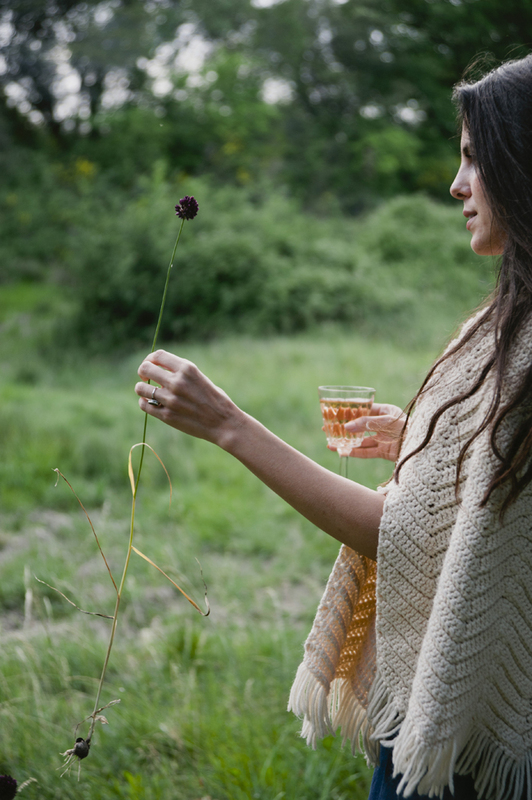 We wore a lot of cotton dresses in light colors, but brought along scarves for when it would start to cool down or for walks up mountainsides where it would be quite windy. As far as shoes go, flat sandals work well here. 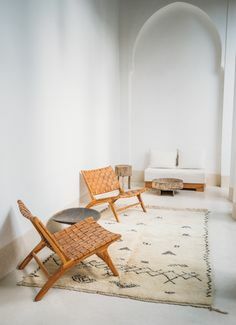 Open-toed options are best because again, it gets pretty hot, but most of the streets are cobblestone, so pick a sandal with good soles to help you navigate all those pesky nooks and crannies. 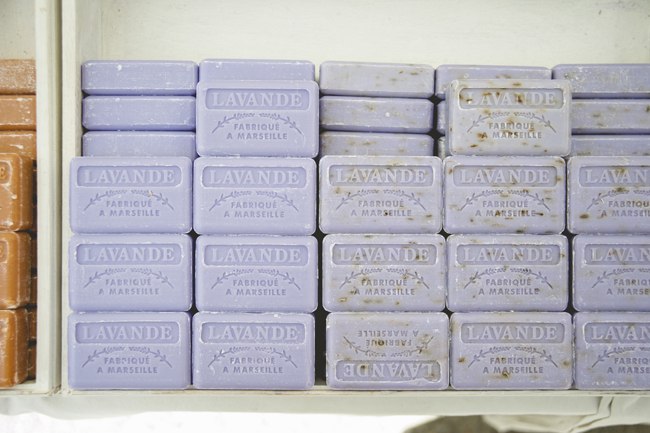 WHAT TO BUY IN PROVENCE: Soaps, ceramics, olive oil, anything rose or lavender scented, candy, and fresh produce. The best thing about this area is all of the different vineyards you can visit. One thing to note, tastings here are conducted very differently from the U.S. They really pride themselves on the process and the quality of their wine. 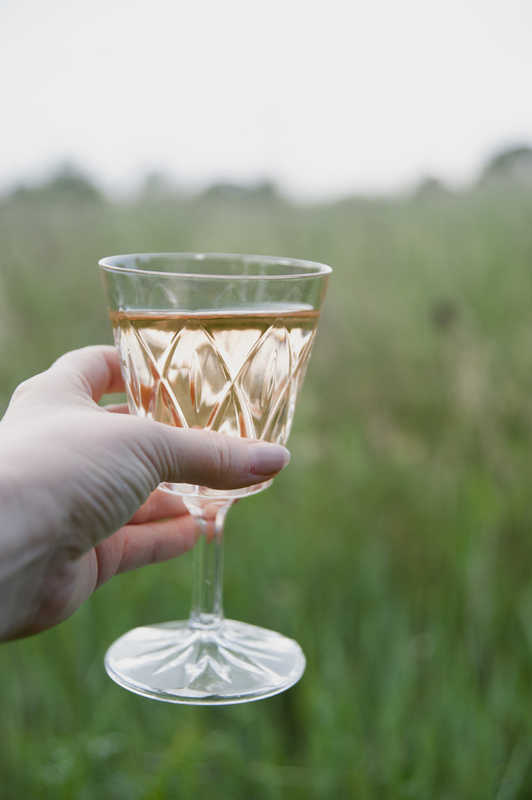 Tastings are typically by appointment only, so you have to let let them know you’re coming, and they’re usually gratis, so you only taste about two different wines. These intimate tastings are really designed for people who are passionate about wine and looking to have a conversation about it. It’s a very personal experience and one that I think should be met with a lot of respect. Everyone involved in the tastings work the vineyard and are really connected to the process, so they have an abundance of knowledge to share and you’ll want to take advantage of that while you’re here. 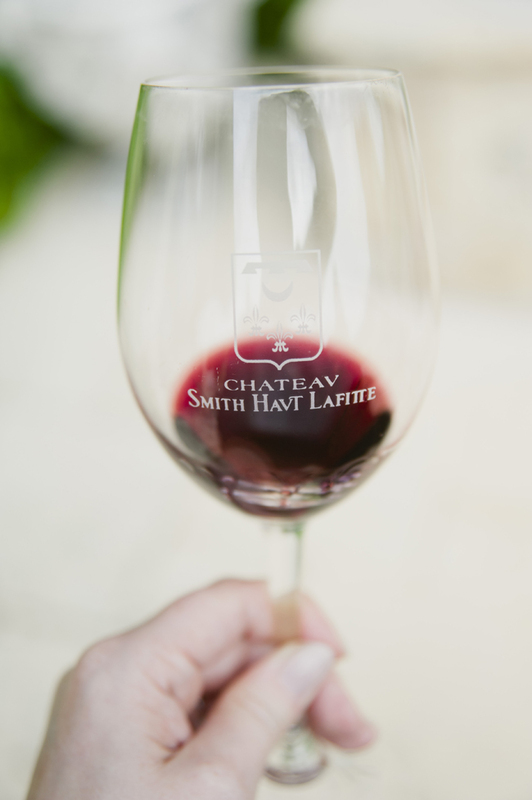 We stayed at this spa, which is actually connected to a vineyard called, Chateau Smith Haut Lafitte. 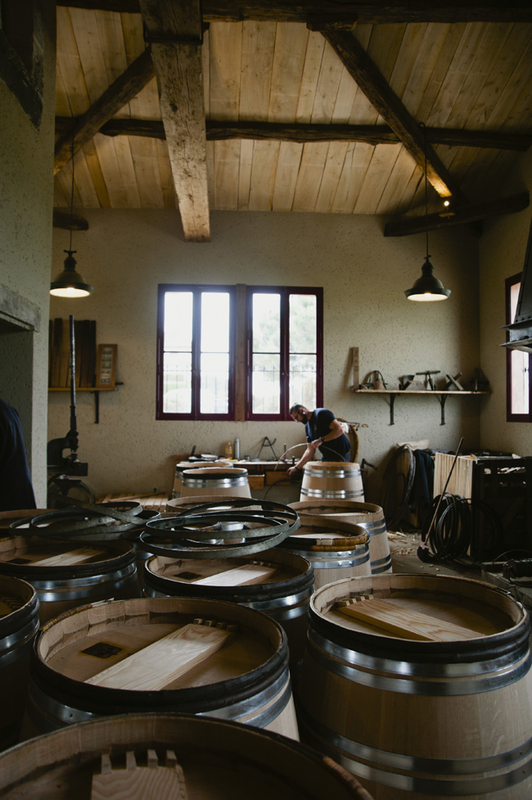 This is one of the only vineyards in Bordeaux where they not only produce all of their own wine but they also make all of their own barrels so that they can truly control every aspect of the wine making process. 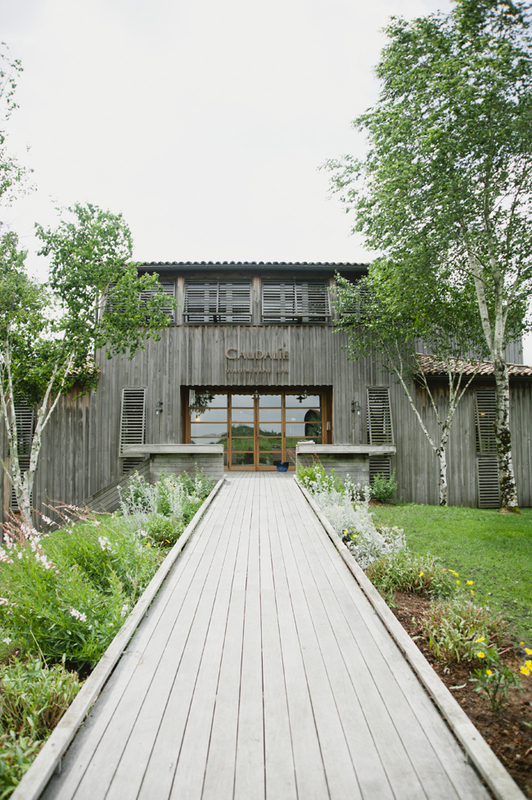 The daughters of the family that owns the vineyard, created the skincare company, Caudalie, inspired by the power of the grape. The skincare company evolved into a spa and everything they use and make here is very natural. They’re all about bringing out the best qualities of your skin. My favorite treatment here was definitely their facials. 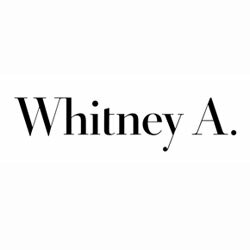 The estheticians create a very personalized and custom experience, created for your face specifically. It was not a one-size fits all experience and you could tell their services are rooted in the French approach to beauty, which focuses on skincare. French women don’t wear a lot of makeup but they’re obsessed with their moisturizers! The staff here is so knowledgable and sweet and I felt like the whole experience was very science-based and taken very seriously. You end up learning a lot about your skin and how to care for it. If you stay at the spa in late August, you can partake in their grape cleanse: a 3-day stay where you eat nothing but organic grapes! This may sound nutty but the cleanse is thought to have detoxifying effects and actually dates back to the 17th century when people would actually visit spas for medicinal reasons. I should also mention that there are many beautiful restaurants on the property, which you should definitely check out while you’re here. 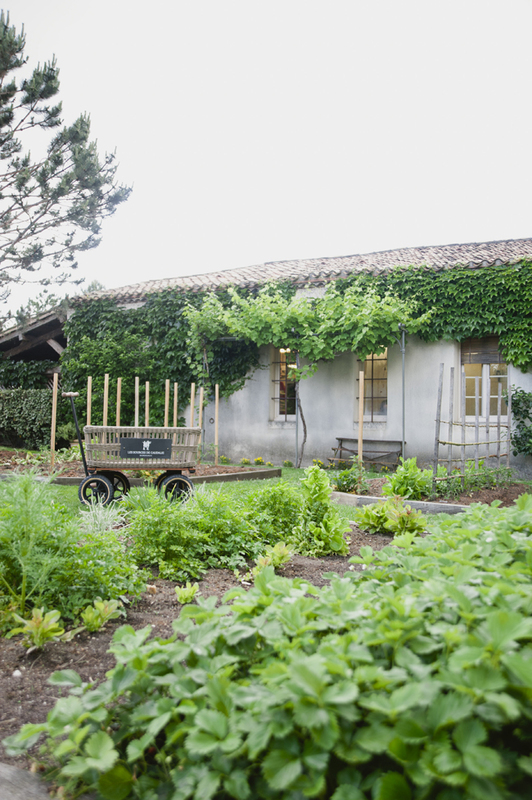 You’ll also notice that the entire resort has a very old look to it, like it’s been around for a long time but it’s actually all new construction, designed in the Bordeuax style with the organic gardens and vineyard surrounding you. We stayed in a house at the resort known as the Pigeonair, and during our initial tour, the manager asked me, quite peculiarly, “Do you like Birds?” To which I replied, “I am not sure how to answer that question”. However, upon entering the home her strange inquiry quickly made sense. Every surface of the room was covered in bird decor! It was kind of overbearing and strange but none the less, a wonderful hotel to stay at. WHAT TO PACK FOR BORDEAUX: It rained at some point every single day we were here, so be prepared for that with a scarf and jacket. In terms of shoes, I’d go with something close-toed here, like a motorcycle boot. 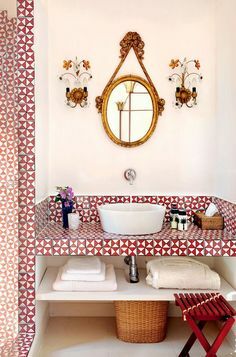 Unlike Provence, you won’t need any beachy, breezy clothing here—I recommend a cozy cashmere sweater and a heavy scarf because you’re going to want to curl up with a good book and a glass of wine after heavy meals here. 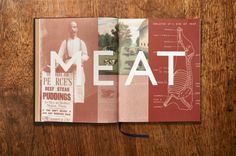 WHAT TO BUY IN BORDEAUX: Other than wine—because you’re obviously going to spend money on wine while you’re here, either tasting it or buying it by the bottle to bring home, you’ll want to enjoy fresh local produce, and heavier foods like meat and potatoes. Think: steak frits. And if you decide to visit Caudalie, you’ll want to take advantage of their amazing line of skincare products. I recommend their Premier Cru Elixir Serum. The pricing in France is actually better, so it’s about 25% cheaper and on top of that, I’ve heard the chemical makeup is different there because of FDA laws. This serum leaves your face feeling cashmere baby smooth!